I just completed a wonderful read of Bless Me, Ultima, by Rudolf Anaya. As I work extensively in South Texas and the Rio Grande Valley, presenting my “Songs & Stories of Texas,” I’ve realized how important vocabulary is to students’ studies. I know that since 1972, the book has been a reading selection for high school (and I would assume junior high) readers. I encourage you to research the awards and recognition this book has earned. To help you and your students with this read, and in case you or some of your students are not bilingual, I selected 33 words that are probably new to many students and teachers. I added simple definitions as the words are used in the book. Some of the meanings of the Spanish sentences can be determined by context, but some cannot. There are so many good translation tools online that this should not present a problem. Teachers teaching this book may want to use this list as a quiz, review, or bellringer. I did not list any of the what might be considered as swear-words or crude language that is used in the book. Students probably already know these words and phrases anyway. I encourage the teacher/student to use the Internet to find pictures and more details of the words listed here. If you have studied this book extensively and I am wrong on any of these words, please email at rickeyp at bayou.com and I will make a correction or addition if it is warranted. bizcochitos – crisp lard- or butter-based cookie, flavored with cinnamon and anise. doily – small lace mat placed under plate. piñon – a small pine with edible seeds. oshá – an herb, root used for healing. ristras – strings of dried chile peppers. 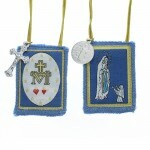 scapular – necklace with religious and personal significance. Virgen de Guadalupe – Mexico’s patron saint, honored on Dec. 12.
yucca – a plant of the agave family with stiff swordlike leaves. Rickey Pittman, Bard of the South, https:www.bardofthesouth.com. Now available on Amazon! Order HERE: Below are some readers’ comments and blurbs about the novel. Durant is a small, close-knit town in the Red River Valley with a serious problem. Clifton Ray is the local bad boy and the legendary Red River Fever has done its best, or worst, to make him a force to be reckoned with. At the beginning of the tale Clifton is just your typical hood. Playing pranks on local businessmen and beating up women are just a couple of the despicable traits of this bundle of bad news. Once he gets the fever though, things go downhill and quickly. As the fever rages, Clifton’s pranks and bullying go darker and more violent, turning the fairly quiet town of Durant into a fiery bloodbath. Murder, malicious mischief, and mayhem ensue as Clifton goes on a killing rampage. Through it all, Clifton’s nonchalance about his hideous acts make this tale one you don’t want to read on a hot summer evening in the swing on your front porch. 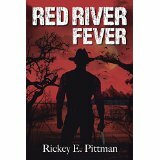 Rickey Pittman brings the passion of his Christian schooling and upbringing into a tale wrought with horror. With his first novel, Mr. Pittman shows us why he was added to the Louisiana Roster of Artists and won the Ernest Hemmingway Short Story Competition in 1998. His vivid descriptions and believable characters, combined with the tales passed down from his parents, make “Red River Fever” a frightening roller coaster, with a lead man you’d rather kick than look at. A must-buy for anyone that enjoys the darker side of history and the legends passed down from father to son, Red River Fever is a novel worth buying for your collection. In Red River Fever, we meet Clifton Ray, a redneck Byronic anti-hero of the Red River Valley. At the beginning of the novel, he is the quintessential small town bad boy – swilling whiskey, fighting in bars, playing pranks, and chasing loose women at the local honky-tonk. The mood and dialogue in the novel is so authentic that it makes us feel as if we were leaning on the bar, observing Clifton Ray and his buddies. But the Red River Valley, located in the Texoma Region of the country, is anything but quaint. Legend has it that the Valley has been plagued for ages by a supernatural force called by the locals, Red River Fever, an uncontrollable madness that can take possession of a man and drive him to violence and even murder. There are omens and prophesies of evil throughout the story given by Native Americans, Fundamentalist Christians, and even those closest to Clifton Ray, as they sense the fever building. Clifton Ray, as well as a few other residents of the valley, begin to behave more cruelly and violently. Clifton Ray seems to morally descend from being a prankster, to sadistic, to almost demonic, seemingly possessed by this mythical Red River Fever. The novel is a suspenseful read, as we quickly turn each page, wondering if there will be redemption or destruction for the darkly fascinating Clifton Ray. One of Rickey Pittman’s mottoes is a quote from Akira Kurosawa: “The role of the artist is to not look away.” *Red River Fever* never looks away. It is a vision of hell where evil is perfectly interpenetrated with ordinary life, while the good is superficial and eccentric. It is Dashiell Hammett’s *Red Harvest* reborn in the American South of the 1970s, a place where the lives of dogs and fish, and finally of men and women, have lost their intrinsic value. Where vitality has become a fever, a disease, and where love itself withers in the heat. Don’t be fooled by its localities of time and place. What Rickey is talking about is the condition of the American soul right now, not some faraway Gothic but what’s right in the mirror, if we dare to open our eyes and not look away–David Lenson, Professor, Comparative Literature, University of Massachusetts, Amherst. Some haunting, graphic scenes. The characters really come to life. . . people just like that live in Hebert and Start. A powerful, frightening statement on living in the South.—-Angela Ford, Monroe, Louisiana. We all know someone like Clifton, more serious about fun than work, but unlike the ones we know, Clifton seems to get meaner with each page of the book. . . Clifton Ray is verbal and mean as an old cur dog, and Pittman is very detailed and descriptive in his writing. I found the book an easy read, and Pittman has a way of communicating the feelings of the lowest gutter rat to the pain and suffering felt by the innocent victims . . .This is Rickey Pittman’s first novel, but I am sure not his last one. Mickey McLean, Column, “The Edge of the Woods,” Bastrop Daily Enterprise. The music in your language is wonderful. Your use of alliteration, assonance, and consonance gives your words an incredible resonance. Not many authors can do that without detracting from the story line or trying to cover up for the lack of a story line. You worked it just right. You also managed to use slang and local dialect without sounding affected. That is hard to do well; not many authors pull it off successfully. You did. The characters were very believable and life-like. I especially enjoyed the way you pulled it all together at the end with the reference to the “Red River Valley” song. . . I like a book that makes me think.—Allison Diffey, Cleveland, MS.
A first novel is always a treat to read . . . I was moved by the descriptions which one can tell came directly from Pittman’s soul. For example, “Something about the house’s condition, like his own, saddened him.” Impressive writing.—Sharon Morrison, Librarian, Southeastern Oklahoma State University. Red River Fever is very interesting. The characters and setting seem so real and intelligently thought out. That Clifton Ray is a bad boy and all the women love him—reminded me a little bit of my daddy in his younger days. Pittman did an excellent job of capturing the essence of the woman-charming, cocky, good ole boy! I was thinking, “Yeah, I’ll bet he can’t carry this one off,” because I know that character, but he surely did it, and did it well!” Should be made into a movie. It’s good!—Cyndi Butler, Dallas, TX. I just finished reading the book last night. It was great. It was one of those books that you just can’t put down because you want to know right then and there what is going to happen to these people next. I can’t wait until your next one comes out. You have me hooked now. Ursula Braxton, Houma, Louisiana. Overall, the novel left me with somewhat of a haunting feeling. And I like that. It’s not a traditional Hollywood ending (thank you). It reflects the darkest capabilities of humans. They cannot be ignored. Time and time again they have emerged, proving their existence, whether people want to acknowledge them or not. The evils come to the surface. This novel just portrays a fictitious stimulus, almost personifying what many people cannot explain in everyday life. . . this novel inspired thought.-–Regina Phillips, Durant Democrat, Durant, OK.
Pittman has a great talent for making characters come to life. Honestly, I can see so many people I know in these characters.—-Judith McDaniel, Monroe, Louisiana. cheap albion gold Expect acoustic guitar tunes, fun rhyming and engaging history during this family-friendly event, sure to be a hit with old and young alike. asics sneakers sale Goedkoop Nike Schoenen 2017 nike scarpe italia Sunday Speaker Series is included in the fee for regular admission. ugg classic mini boots South Carolina Gamecocks Jerseys FRIENDS of the Museum are admitted free as a benefit of FRIENDship. new balance 990 Nike SB Stefan Janoski cheap albion silver This program is made possible with generous support from the Carmen C. nike internationalist Goedkoop Adidas Superstar Adidas buty męskie cheap albion gold Guerra Endowment. chaussure air jordan Dominique Rodgers-Cromartie Canotte Golden State Warriors Mrs. nike air max 1 og homme Fjallraven Kanken 7L buy albion gold Guerra was deeply committed to supporting educational opportunities in the Rio Grande Valley. Coming Events for Rickey E. Pittman, the Bard of the South! 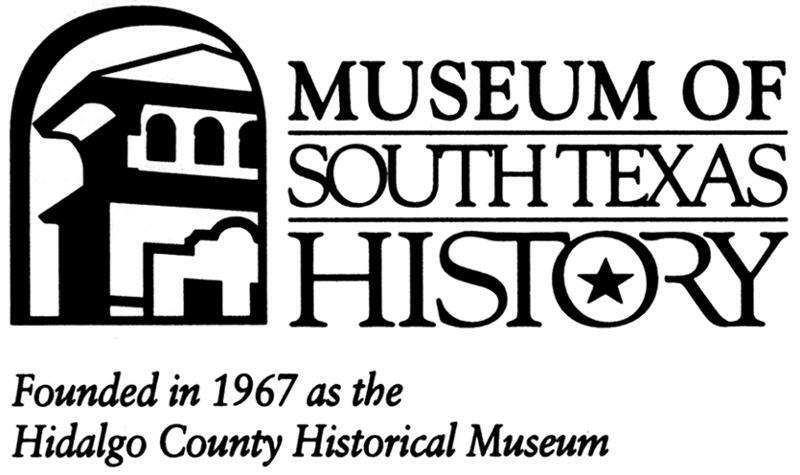 The Museum of South Texas History (“MOSTHistory”), a museum chronicling the heritage of South Texas and Northeastern Mexico, invites the community to enjoy a one-of-a-kind, family-friendly Sunday Speaker Series event featuring Rickey Pittman, “The Bard of the South”, on Sunday, Nov. buy albion silver 15 at 2 p.m. 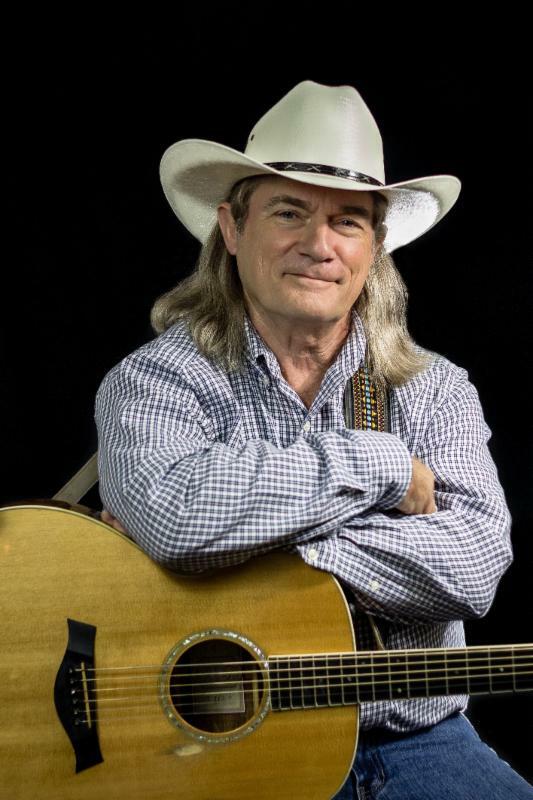 The award-winning storyteller and folksinger will perform in the MOSTHistory Grand Lobby, sharing a variety of musical numbers from “Songs & Stories of the Rio Grande Valley” that include history and culture of the region. adidas ultra boost new balance 1600 femme buy albion gold Pittman will also be reading from his latest publication, Rio Grande Valley ABC, and will be available to sign copies that can be purchased in the Museum Store. Cheap UGG Ansley Sale cheap albion gold Pittman’s newly published book features elements from life in the Rio Grande Valley. new balance blanc Air Jordan 3 Donna cheap albion gold From historical to natural references, it is clear the RGV is situated in the crossroads between the United States and Mexico. 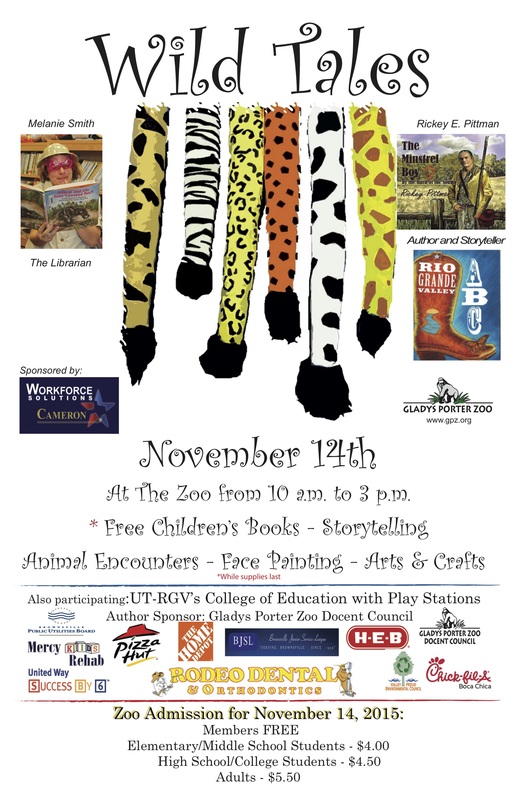 Expect acoustic guitar tunes, fun rhyming and engaging history during this family-friendly event, sure to be a hit with old and young alike. kd for uk asics gel kinsei 4 uomo albion silver Sunday Speaker Series is included in the fee for regular admission. adidas adipure oakley femme pas cher cheap albion silver FRIENDS of the Museum are admitted free as a benefit of FRIENDship. albion gold Guerra was deeply committed to supporting educational opportunities in the Rio Grande Valley.